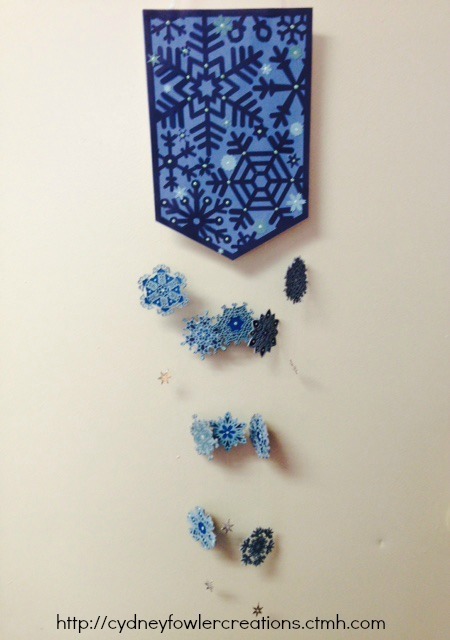 I used my Cricut Explore and images from my subscription to make this snowflake wall hanging. I used various colors of Close to my Heart papers and cut the snowflakes and the wall hanging. If you have the subscription, just search snowflake and you will get an amazing variety to choose from. Just thought I would share for some inspiration for your winter crafting. If you are interested in purchasing Close to my Heart paper crafting supplies and tools, my online shop is http://cydneyfowlercreations.ctmh.com. I would be happy to be your consultant and assist you with your paper crafting needs. I like it a lot. The design is catchy.